Nintendo boss Satoru Iwata has admitted what the rest of us already knew: Most third-party games on the DS and Wii sell like moldy buttermilk pancakes. Take a look at this list of best-selling Wii games. You may notice that the top ten titles are, in fact, all Nintendo games - and the first non-Nintendo game even has Mario in it! After that, you need to look down to #15 to find a third-party title that has nothing at all to do with Nintendo (Ubisoft's Just Dance). In general, the list is very, very Nintendo-heavy, which is something that analysts, media and gamers have known for quite some time. Nintendo knows it, too. 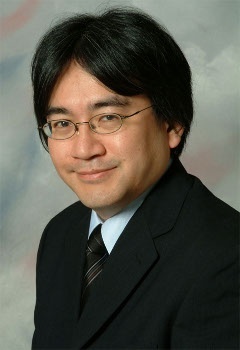 Speaking to press yesterday, CEO Satoru Iwata admitted it was true "that the third party software sales ratio on Nintendo platforms are comparatively smaller in Japan. Wii's third party software ratio is especially low." It isn't just in Japan, Mr. Iwata. According to graphs from Media Create, third-party sales are a paltry 26% of total Wii software sales. The DS was doing considerably better, with third-party software making up just under 50% of total sales on the platform, but Iwata admitted that it was partly due to the handheld's massive install base. In comparison, first-party software makes up 20% of total sales for the PSP, Xbox 360, and PS3 platforms - almost the complete reverse of the situation on the Wii. With the 3DS, though, Iwata emphasized that Nintendo could not allow this situation to continue into its next handheld generation. "We need to decrease the concern that only Nintendo software can sell well on Nintendo platforms and third party software cannot sell in the same volume," he said. "We will not make a trend similar to the one found for Wii in Japan now ... we feel a need to have closer ties with our third party developers from the beginning." To that end, he produced statements praising the 3DS from third-party developers behind many of the numerous titles in the admittedly impressive-looking 3DS lineup like Resident Evil, Professor Layton, and Metal Gear Solid. "Together with the third party software people," said Iwata, claiming that the developers' expectations were humbling, "we aim to expand the sales of Nintendo 3DS, and we will never stop our efforts to expand the gaming population."